With the Democrats reflecting a diverse electorate, the Republican Party has instead reshaped itself into a Trumpian version of the traditionally conservative GOP. The Democrats have regained control of the US House of Representatives and the Republicans reloaded their majority in the Senate. A split Congress has been the outcome of the 2018 midterms. But does that mean US President Donald Trump’s whimsical and back-and-forth policies will be able to be kept at bay? Not quite, unfortunately. Congress – meaning the House – will probably get messier when passing domestic legislation and more efficient when “restoring the Constitution’s checks and balances on the Trump administration,” said Nancy Pelosi on election night. Ms Pelosi, the Democrat speaker of the House as from January, 2019, was probably referring to the tax returns Mr Trump has not yet submitted and the politically incorrect connection Russia had with the Trump family during the 2016 presidential campaign. But the Democratic majority in the House will also have an important role in monitoring, in setting spending policies and creating legislation in those key areas where they chair committees, namely the Armed Services, Intelligence and Foreign Affairs. So, narrowing the scope of the question, can an oppositionrun House stop or recalculate the inevitable disarray that arises in foreign policy from Trump and his administration? Again, not quite. Historically, the House has had a say in the approval or rejection of trade deals and treaties. So the Democrats could approve – and most probably will – the NAFTA 2.0 trade deal with Mexico and Canada. Besides, approval of these type of deals do not respect party lines: left-leaning Bernie Sanders (elected senator for Vermont for a third term on November 6) in the 2016 primaries opposed the Trans-Pacific Partnership (TPP) and made Hillary Clinton, the Democratic candidate, walk away from that trade pact during the presidential campaign – an initiative she herself had led while serving as Barack Obama’s secretary of state. Across the aisle, Donald Trump was on the same page: he scrubbed that trade deal from the agenda immediately after being sworn in. Not a great shift then? According to Cas Mudde, a renowned columnist at The Guardian, the congressional landscape has redefined its hues, after the Democratic party went through a radical change in its composition. “Two years after Bernie Sanders’ failed challenge for the presidential nomination, there will be almost as many democratic socialists as conservative-leaning Democrats (known as Blue Dog Democrats) in Congress,” Mudde says. With the Dems reflecting a diverse electorate, the Republican Party has instead reshaped itself into a Trumpian version of the traditionally conservative GOP. 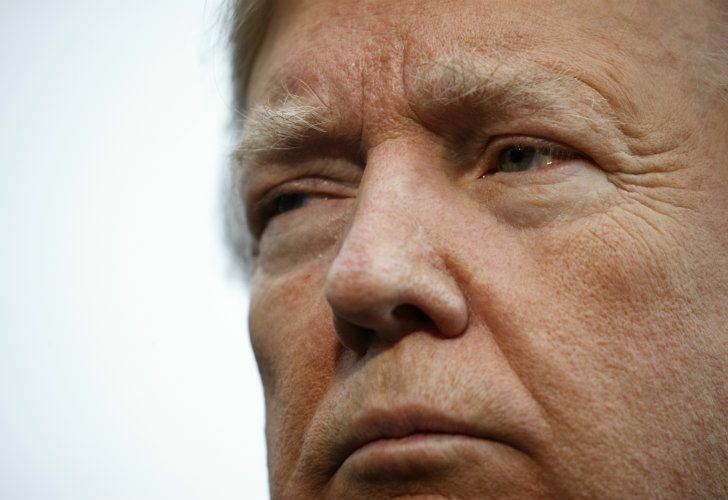 “Whether the Republican establishment likes it or not, the Grand Old Party is now Trump’s Party,” writes Mr Mudde, who defines ‘Trumpism’ as a popular right-wing combination of authoritarianism, nativism and populism. “In the coming two years they will campaign as a radical right party, led by an omnipresent leader, who will define the Republican party for a whole generation of Americans,” he adds. The Times asked an Argentine diplomat who has strong ties with the actors and policies of the US on the international stage about the possibility of a shift in US foreign affairs after the midterms. “Changes in foreign policy normally involve the Senate, which has strong constitutional powers as opposed to the House, which has no role and consent over treaties or confirmation powers, [which are] key when it comes to foreign affairs,” he said. And what about North Korea? “Negotiations are being led by the Executive, after a political and non-legally binding declaration, so if and when Secretary of State Mike Pompeo’s efforts are crowned with success, congressional action might be required, but this won’t happen tomorrow and might well need to wait until after the next presidential election,” was the diplomat’s response. As for China and the ongoing trade war, the Democrats will hold more hearings – and demand more briefings – but criticism of Beijing has so far crossed party lines. That is not expected to change. Like Republicans, Democrats are divided on Trump’s trade war with China. Some party members see free trade as a generator of jobs, while others back tariffs to protect workers or the steel industry. So the reshaping of Congress after the midterms will have some impact on President Trump’s ability to pass domestic legislation, but will bring almost no change to foreign policy. But then, when did foreign policy last change? Gideon Rachman, the FT’s columnist for international affairs, has argued that the gradual erosion of Washington role as the world’s policeman is actually the product of conscious policy decisions. After all, Barack Obama promised to concentrate on “nation-building at home” even before Donald Trump pledged to put “America First.” Two wordings for the same message, no matter who is calling the shots at Capitol Hill.